When hunger strikes, it can be tempting to reach for the closest treat, even if it’s laden with fat and empty calories. 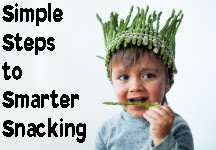 Make it easier to enjoy better-for-you snacks with these three simple steps that appeal to your taste and your waist. 1. Know that choosing more healthy snacks can still be quick and convenient. Learn to recognize your hunger patterns and keep foods on hand to fit your cravings. For example, if you tend to need a mid-afternoon pick-me-up at work, prepare snack-size portions of finger foods that feel hearty without weighing you down. 2. Make flavor count in every bite. Watching what you eat doesn’t have to be bland. In fact, an eating plan that cuts back on your calorie intake is the perfect reason to pay more attention to what you eat and thoroughly enjoy it, rather than wasting a portion of your daily consumption on foods that don’t taste great. 3. 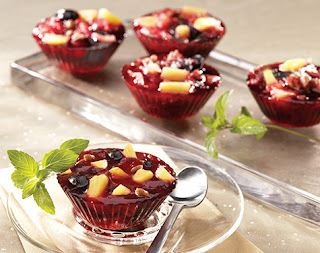 When your sweet tooth is screaming, answer it with the refreshing indulgence of a fruity dessert. Fruit-based desserts are naturally sweet and deliver some of the key nutrients your body needs, so you can feel extra good about bypassing other options laden with unhealthy ingredients. With just three ingredients and three steps, it’s easy to choose and prepare a quick, healthy snack. All you need is celery, peanut butter and raisins. 1. Wash celery then cut stalks in half and trim to desired length. 2. Spread or pipe peanut butter into recessed side of stalks. 3. Sprinkle with raisins, as desired. Creating delicious desserts can often require a ton of time and a variety of complicated steps. Rather than wasting minutes making dessert instead of eating it, try Pineapple Cherry Minis made with Dole Canned Fruit, a convenient and easy ingredient to use in all of your dessert recipes. Pineapple Cherry Minis require just 20 minutes of preparation before chilling in the refrigerator, and the fruit makes them a healthier dessert option than most after-dinner sweets. For more quick and healthy dessert options, visit dolesunshine.com. Drain pineapple, reserve juice. Bring reserved juice plus canned pineapple juice to boil. Add gelatin; stir at least 2 minutes to completely dissolve. Chill until mixture thickens slightly. Fold in pineapple, nutmeg, cherries and pecans. Spoon into 12-14 foil-lined muffin cups, lightly sprayed with nonstick cooking spray. Chill until firm. Store leftover gelatin in refrigerator. Maintaining a healthy diet is key to staying fit, but that doesn’t mean you can’t have a sweet treat every now and then. Make smart snack choices that taste delicious, such as Dole Jarred Fruit, which contains five servings of high-quality, ready-to-eat fruit packed in 100 percent fruit juice in every jar. With a convenient, re-sealable lid, you can just scoop out what you need to top your favorite dish with fruit or make quick and easy good-for-you treats, such as these Peach Crisp Pops. Find more healthy snack ideas at dolesunshine.com. Measure 1 1/2 cups drained fruit and 6 tablespoons juice. In medium bowl, combine juice, maple syrup, cinnamon, granola and yogurt. Stir to blend well. 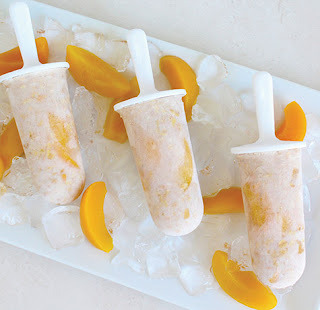 Place 2 peach slices in each frozen pop mold. Pour yogurt mixture into molds or small paper cups. Place on tray and freeze about 1 hour, or until partially set. Insert frozen pop stick into center of each mold; freeze 2 hours longer, or until firm. When snack time rolls around, a quick, convenient bite to eat is often the way to go. 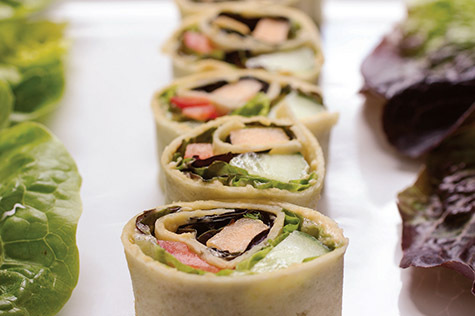 With easy-to-make Hummus Pinwheels, your light, healthy snack can be a breeze. Because any of the 14 varieties of Sabra Hummus work for this simple recipe, your taste buds have the final call on flavor. Plus, since hummus can boost fiber intake and helps keep your calorie count low, you can count on it as a healthy alternative to common snacks. To find more tips for light snacking, visit sabra.com. Spread thin layer of hummus on both tortillas. Divide red pepper, cucumber, cantaloupe and lettuce between tortillas. Roll tightly and secure with toothpicks. Slice into pinwheels and serve.